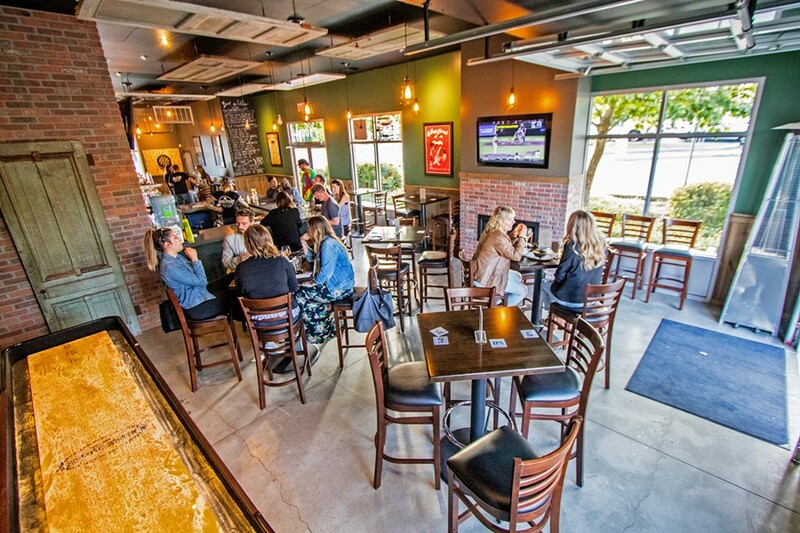 Broad Street Public House is located at 3590 Broad St. in San Luis Obispo and is open 3 to 10 p.m. daily. For more information, find them on Facebook. Matt Cross knows his audience. As a former pastor, it was the youth; as a lifelong musician, it's always the next person making a song request; and as the beer-pourer and nacho-scientist behind Broad Street Public House—which he co-owns alongside Bill Cody—it's the most basic desires of the average SLO resident. I mean, who likes wet nachos? His audience certainly does not. So, Cross went about fixing the age-old problem. CROWD PLEASING Craft beer, nachos, and old-school video games? Very few would say "no" to this good-time trio, on tap now at Broad Street Public House. 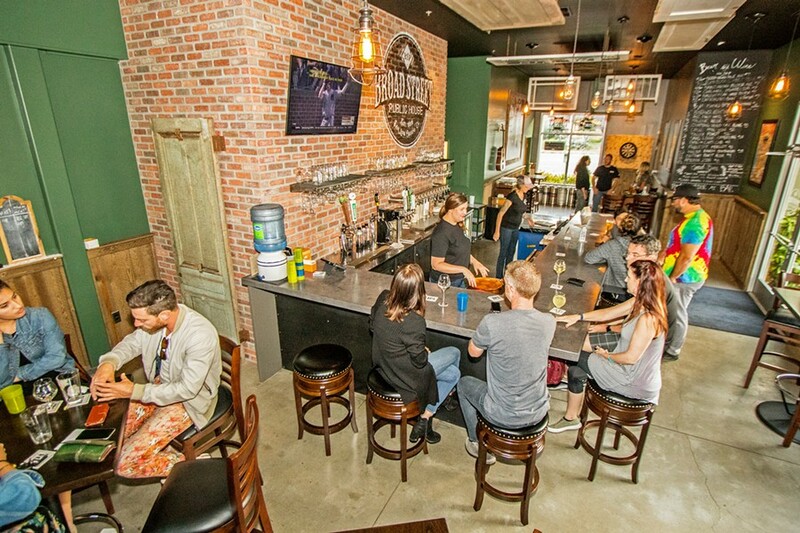 The new hangout is located at 3590 Broad St. in San Luis Obispo. "I've worked in bars and restaurants, and people are always sending half of the plate back because the nachos get soggy in the middle," Cross says while wiping down the bar, which opened on June 1, 2018. "That's why we layered everything just so, and put everything on the side; the sour cream, salsa. We put a lot of thought into it. We're also going to offer different nachos, and you'll be able to choose your own toppings." Really, it's the little, unfussy things—like building the perfect nachos or totchos (yes, Cross is hot on the tater tot nacho trend)—that make a welcoming neighborhood bar. You want to go where everyone knows your name, and that's not usually the nearest swanky gastropub. Tucked away from downtown with low light, vinyl spinning on the turntable, classic '80s video games, and super simple menu items—like the throwback Minnesota Cheese Plate (sharp cheddar, mustard, summer sausage, ciabatta)—Broad Street Public House isn't trying to elevate your experience to new heights. Instead, it aims to ground you. "People aren't coming here because we have this wine or that; it's because this place is warm and welcoming, we have shuffleboard tournaments on Tuesday nights and darts. It's a mellow place to come hang out and have a few beers," Cross said, adding that he has no desire to offer anything harder than beer and wine. 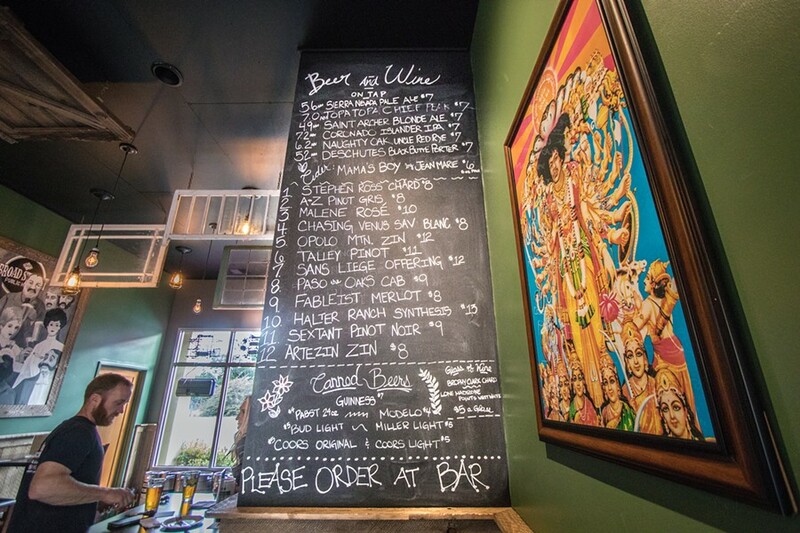 No, Broad Street Public House is not a dive bar—it is something more sincere. Currently, you can find Russian River Brewing Co.'s Pliny the Elder on the rotating tap, and once a quarter, Cross opens the roll-up doors and wheels in a slew of classic '80s arcade games for spirited competitions. Thursdays you'll always find live music, and Saturdays are always a wild card. You might come in for a pint and stay for a comedy show. In essence, the community drives the program—which is what you want in a good neighborhood watering hole. Got a few old records you'd like to hear spun for the first time in ages? Bring 'em in and the staff will spin them and perhaps even reminisce with you about the joys of The Who. Sunday is always trivia night, but it's a little different from what you might expect. Tip: Bring your brainiest friend to compete in this hot-blooded competition. "We have a Cal Poly professor who writes the questions every week. It's his passion, and he goes to all the other trivia events in town and creates a totally unique event for us," Cross said, adding that he's yet to win a question (fingers crossed for next Sunday). Yes, Broad Street Public House is just far enough away from the boots-and-hats-and-boots-and-hats bump of downtown to offer such novel ideas as trivia, parking, and audible conversation. A wholesome "buy a beer for a friend" board will soon be up and active, encouraging locals to pass it forward (talk about a classic idea you don't see happening at downtown bars so much anymore). Cross said ladies in their 60s are known to meet over a glass of wine next to blue collar buddies sharing an afterwork brew. College kids and grandpas compete for bragging rights on the shuffleboard table. Come as you are, no dress code, no "beer cocktails," no artisanal tapas. Kinda takes you back. Remember just 10 years ago, when we all just went to bars to hang out, not to prove we knew more than the mixologist? Cross does, and there are others who are starting to wake up, too. Hayley Thomas Cain wants to go where everyone knows her name. She can be reached at hthomas@newtimesslo.com. Editor's note: This article was edited to correct the owners' names and affiliation. New Times regrets the errors.